I don’t especially want to talk about Secret Friends. On one hand, it was interesting to compare to Potter’s book Ticket To Ride, which I just read, and the flashbacks and ambiguous dream sequences a la Alain Resnais’s Providence should be worth discussing, but on the other hand I’ve overdosed on Potter’s poisonous misanthropy and just want to move past this one for now. 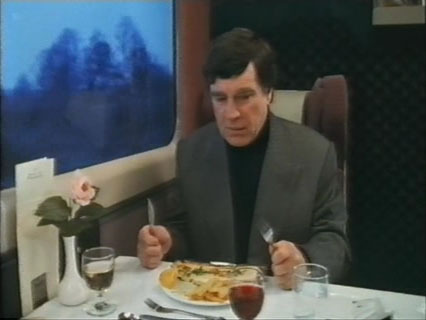 Alan Bates (Losey’s The Go-Between) is our guy, scheming against his wife Helen (Gina Bellman, title character in Blackeyes, later starred in the show Coupling) who doesn’t actually seem so bad. 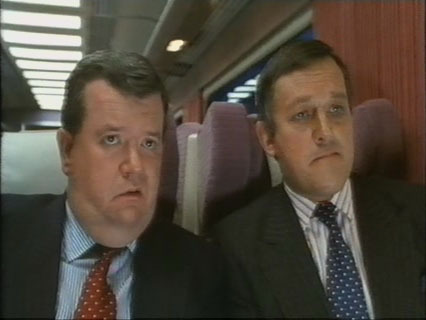 Riding the train to attempt to sell his obsessively detailed paintings of wildflowers, he has an identity crisis. Plenty of weirdness follows involving hotel prostitutes, affairs with neighbors, our contemptible protagonist’s painful upbringing, confused passers-by, and stuff that is happening which is not happening… which does not seem to be happening at all. Potter directed his own adaptation of his own novel.